Brian Paul Bach is a writer, artist, filmmaker and photographer; he has worked across the entertainment business, in theatre, music and as an academic. He now lives in central Washington State with his wife, Sandra. 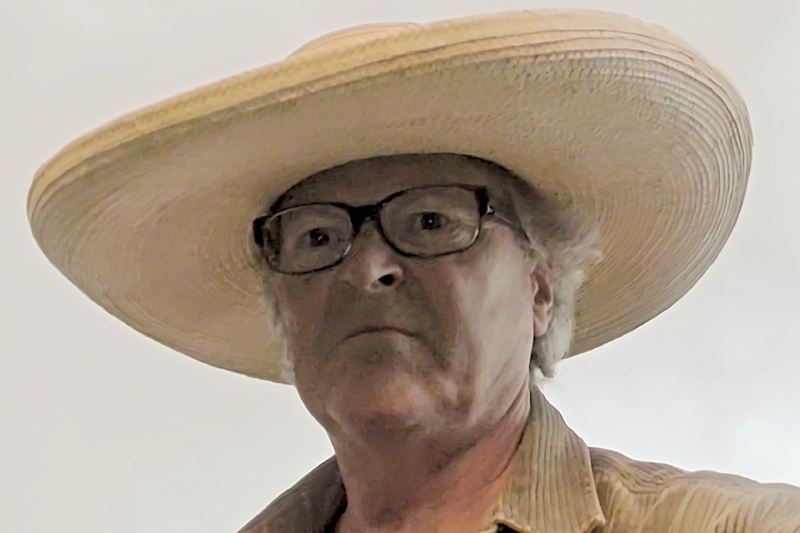 His previous works include The Grand Trunk Road From the Front Seat, Calcutta’s Edifice: The Buildings of a Great City, and Busted Boom: The Bummer of Being a Boomer. He writes a regular column for Kolkata On Wheels magazine. 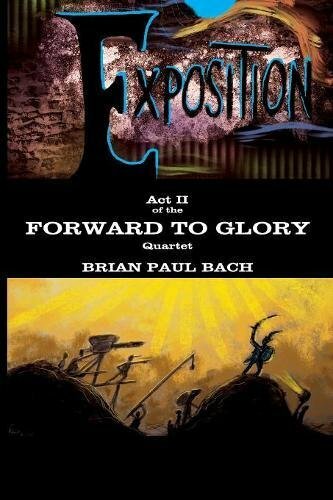 The first book in the Forward to Glory quartet, Tempering, was released in March 2017. What can you tell us about Forward to Glory – the series? As a fan of the Golden Age of Hollywood, and cinema as a whole, I’ve always wanted to do a big production – in whatever media – that would be as close as I could get to the kind of films I’d liked to have pulled off, had I been in the biz itself. After much disjointed episode construction and addition after addition, I found I had such a creature on my hands, so I branded it an EPIC~NOIR~SATIRE. With a catchphrase attached: Epic in its scope! Noir in its turnings! Satire by its playfulness! In short, it’s about a nobody who comes to Hollywood and becomes the biggest star in the world. A huge story, with lots of page-turnings to tell it. Just like the movies of yore, Forward to Glory has a cast of thousands! Act II. Exposition is his turning point, when things fall into place. Acts III and IV, Apotheosis and Beyond Fin respectively, carry the saga to its climax and aftermath. Butterbugs does not readily fit into the Outsider, Everyman, Generic, Holy Fool, or Naïf moulds. He is entirely lacking in ego, and his self-awareness is vague, at best. But as an actor, he delivers the goods – and he does so like no one else. Later in the saga, by his very nature, he will unintentionally transcend the conventions, banality, and fabrications of stardom. To my mind, part of the theme running throughout the quartet is a notion suggesting that in the moment, Butterbugs may very well be unique, but he is probably the last of his kind. In other words, his is a final seminal performance of a male on the stage of age-old drama. In a world no longer needful of a traditional heroic archetype, the way shall be cleared for new personas, new ideas, new manifestations, with new achievements in the pageant of human evolution. Thus, he is a sort of facilitator – a sunset that must yield to the inevitable and brave new dawn. This is the saga’s epic premise, though set in a noir world, which requires satire to make it whole. Heatherette, the proverbial ‘girl next door’ is mysterious, impressive, elusive. Butterbugs is too preoccupied with himself to realize her power and value. She serves as an occasional touch-point for him to reference himself. Notwithstanding this, he is too self-absorbed to even acknowledge her efforts to help him. But her benevolent forces are subtle – and they expand. By the end of the saga, both find fulfilment in unexpected ways. Vonda Van Den Dell is a superstar, a black icon, who by chance picks up Butterbugs from the street. She indirectly aims him in the right direction, but alas, she can only go so far along the way. The Angry Black Priest (TABP) a revolutionary superstar, takes Butterbugs under his wing, and remains a major influential character. Sonny Projector, discoverer of Butterbugs’ talent, who becomes his agent, and guide. Old Atrocity, seasoned veteran of the tech side of moviemaking – protector, confidant, and ‘can-do’ genius. Justy, Sonny’s ex, who divides her time between living with Butterbugs and championing reform in Africa. Saskia Pingles, accomplished Brit screenwriter, joins the Butterbugs household in a ménage à trois. Shonnaleen, Parlor, Cody, Vizbulite, Jana, Pepper, and Prairie: friends, lovers and co-stars, all in key positions along the way. True-life personalities, such as Frank Sinatra, Sid Grauman, Beyoncé, Dmitri Shostakovich, Björk, Jean-Paul Sartre and many others make cameo appearances here and there. Do you have a favourite scene from Exposition? In Chapter 74 – ‘The Promise of Joy’, there’s a situation in which Butterbugs, who is out on a western filming location, has walked off the rancorous set. He discovers an old lodge, and falls in love with Pepper, who lives there. It suddenly hits him that she is the one he has waited for. Just as they are getting to know each other, Jana, the director of the film, who is his current lover, tracks him down, and enters the scene. The three have an awkward exchange over drinks. Jana senses a rival in Pepper, though admittedly, she finds her to be quite extraordinary. It is a full-moon night, and the effects are spectacular. In cinematic terms, we venture into the minds of these two remarkable women, and discover the dynamics that result from Butterbugs’ presence. However, after he sneaks off for a stroll in the epic landscape, so as to contemplate his new plans in this wondrous, loving environment, the two compare and contrast emotions and impressions. They are wholly in the moment, with its moonlit magic. In the process, they form an unexpected bond. Even though this idyll is soon rudely shattered by interlopers, the character development and the atmosphere of this scene as whole make it one of my favorites. Well, in this era of Either/Or, I have to follow my usual instincts. That means, in the strict sense, I’m neither. So, like most writers, I suppose I’m in the somewhat vague zone of the ‘plantsers’, who practice both ‘disciplines’. Besides, that’s where the action is, because the space between Either and Or is more akin to a valley than a fence. Initially, I can’t help but start out as a pantser, and then I apply plotter points, as needed. Part of the luxury of ‘Forward To Glory’ being a four-part saga was its evolution through a series of separate episodes that somehow materialized. Then, the consciously-applied mechanics of plotting made them useful, coherent, and to my mind, successful. The term ‘episodic’ used to be a putdown when applied to a book or movie, with the implication that it was meandering, poorly constructed, and probably an ordeal to endure. However, with so many multiple-volume book series and multiple-episode TV series in evidence, the great tradition of extended storytelling is alive and well. The state of impatience brought on by terse, jump-cut, byte-sized, video game-paced presentation is one of the great disappointments of today. But I’m delighted that so many find extended storytelling to be more fulfilling and worth their time. What research do you do for your books? Do you think movie adaptations do books justice? Because I’m much more a movie person than a reader of books that have undergone filmization – mainly because I am an agonizingly slow reader! – I’ve always respected the fact that the two mediums have their own rules and limitations. As is well known, they are mostly based on the practical abilities of their realization. Books are the ultimate as far as flexibility of creation and interpretation, but movies are more vivid and immediate. I love them both, and I’m often known to disappoint ‘Books First’ people by stating the distinct differences between the two. To be sure, it’s because they love a given book so much, they want to see it come true on a screen, with all expectations met. In most other languages, the film director is classified as a ‘realizer’, and the starting point is the book, then the script, then the process of getting it on the screen. As a writer and filmmaker, I’m certainly sympathetic to both pathways. I once presented the film version of ‘Gone With The Wind’ to a friend who adored the book but had never seen the picture. She ended up ‘sort of’ liking it, but throughout the viewing, kept saying, ‘That’s not how it is in the book at all!’ I attempted to explain some of the mechanics of filmmaking to her, but I knew that the book would remain her first love. Granted, there are many failed adaptations for the screen. But in a more leisurely-paced mini-series, or an ultra-carefully-crafted filmization, as in the case of Tolkien’s ‘Lord of the Rings’ and ‘Hobbit’ (which I think actually improve on the books), there is a much greater chance that readers will consider an adaptation to be worthy of the book that inspired it. Ideally, both will be accepted and judged on their own terms as individual but related works of art. I’ve often read the book after seeing the movie, mainly because I wanted to expand on the wonders of the film. Thus, a reverse analysis results: does the book do the movie justice? Anymore, I just follow the enjoyment and fulfilment possibilities – in whatever medium that conveys them. Who would you like to see play Butterbugs in a movie adaptation? Official Statement: While writing Forward to Glory, I had no one specifically in mind when considering Butterbugs. There was so much more to concentrate on! Therefore, this is a tough one. Casting is a fine art. While I rarely refer to Butterbugs tacitly as a sort of Caucasian mongrel, that element of his character is not important in this saga. Granted, he is male. Therefore, any number of youngish actors (many of whom I’m not familiar with, and I cannot possibly know of those to come), so I deem it a sort of ‘no restrictions’ casting, sort of like Shakespeare. I remember seeing a transcendentally wonderful performance of ‘A Midsummer Night’s Dream’ at Oriel College in Oxford, with an all-female cast, and ever since, it’s been ‘the play’s the thing’ first, and casting second. Nevertheless, to cite some actual people, here’s an off-the-cuff roster, and in no special order or chronological logic applied. —and I’d better leave off there, before I consult the Internet Movie Database…! What has been the best part of your writing journey so far? The realization that I can create the kind of characters, events, settings, and ambience, that by chance, are just what I wanted, even though I had few expectations of such results along the way. The whole quartet is admittedly a monster. Far from perfect, of course. It’s quirky and extravagant, but upon reflection, very rewarding to construct… and a relief to put to bed! To mention related events: entering the library of the venerable Indian Museum in Calcutta, and by chance, spotting a person intensely perusing my book, Calcutta’s Edifice: The Buildings of A Great City, which is a major appreciation of the city’s architecture and ambience. Similarly, the librarian at the Calcutta ‘Telegraph’ newspaper told me they regularly refer to my book for information, but assured me that they don’t ‘appropriate’ anything from it! Finally, most gratifying was the statement from the book’s editor, the late Nirupam Chatterjee, one of the longtime stalwarts of the book scene in India, that he was deeply honoured to have been associated with my book – and one that aspired to consider his native city, which he knew so well.